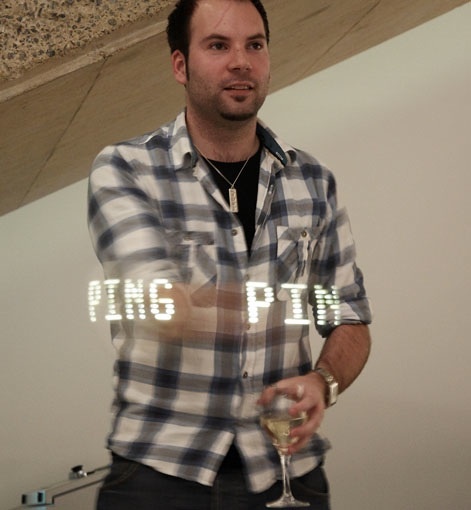 How to Make a DIY Ping Pong LED Clock! ← Nexus S Hacks – How to Root your Nexus S! Here’s a great way to build a giant LED clock without the use of additional LEDs but by using ping pong balls as light extenders. 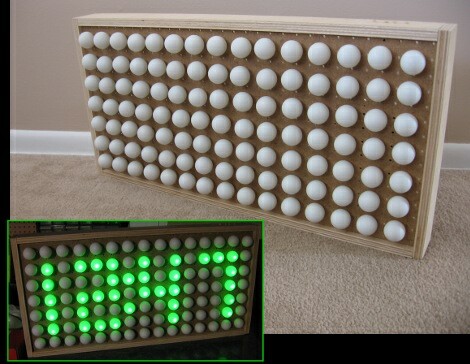 This is a super-accurate clock That uses ping-pong balls as diffusers for LEDs, but with a little know-how you can turn this into a full marquee display. Join me after break where I’ll share the details of the project and give you everything you need to know to build your own. Check out more interesting categories: Circuits, Clocks, DIY, Featured, Featured DIYs, Featured Gadgets, Featured Hacks, Gadgets, Hack, HOWTO, LED, Projects. 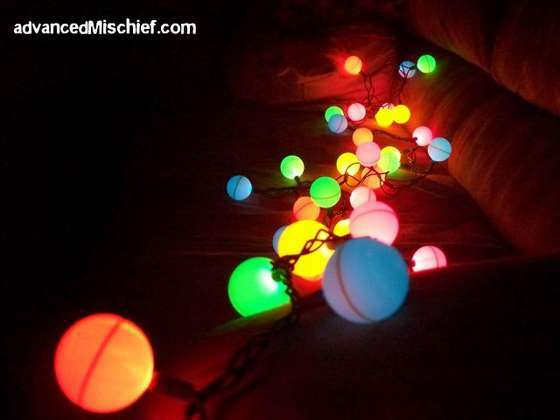 DIY – How to Make Ping Pong Lights! 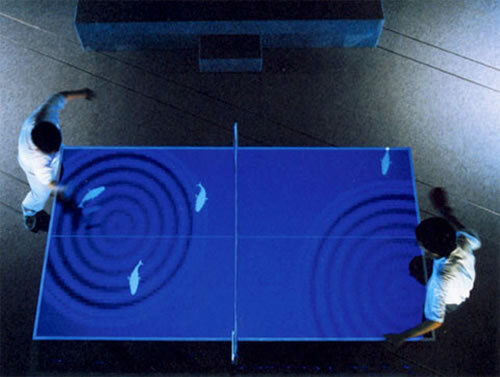 DIY Interactive Ping Pong Table! 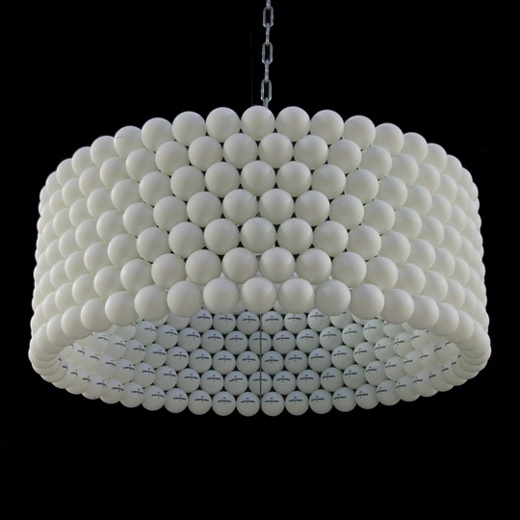 Bettine Lamp is made from 315 Ping Pong balls and my PC is made from 10 Golf Balls! Clock DIY – How to Make a “Pong” Clock! Circuit DIY – How to Make a Pure TTL Clock! DIY HACK – HOWTO make a GIANT, BRIGHT LED!